As we all know, marketing is a game that’s constantly changing. Keeping tabs on everything that comes and goes sometimes requires more time and energy than we have to spare. After all, running a business is a daunting task, and staying ahead of the digital marketing curve can be a lot of handle on top of what we’re already dealing with. So I’ve done the hard work for you! Presenting: the 40 Best Digital Marketing Books of 2018! That’s right: every book on this list has been published in the last six months, ensuring that you’re getting the most current and cutting-edge tips in the digital marketing world. 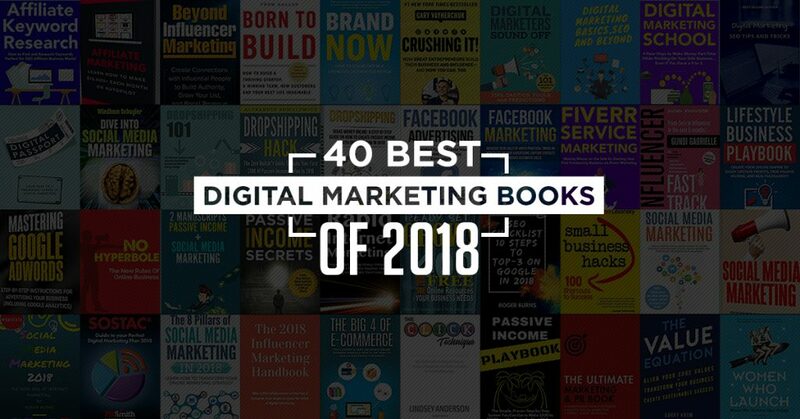 Staying on top of the game and making sure you’re using the most efficient digital marketing strategies comes with being relevant and staying consistent in what you’re doing, and these 40 best digital marketing books are sure to kickstart an amazing career—or refuel an already established one! 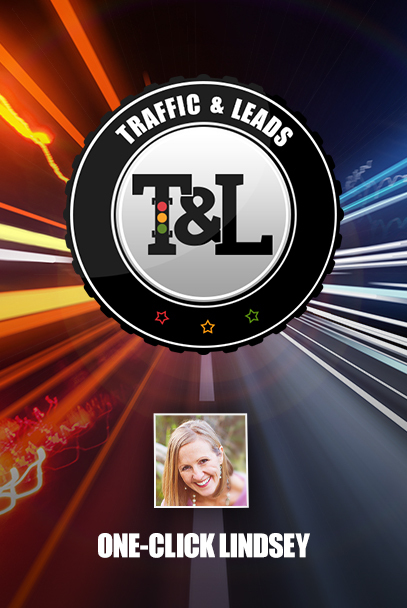 That’s right—the amazing five-step crash course on getting more traffic and leads to your website is now a book! The CLICK Technique, written by Lindsey Anderson and published just this month, is expanded upon in this incredible book. If you want to know the best ways to get your business off the ground and you’ve found yourself sitting dead in the water, The CLICK Technique is designed to help you kick-start those amazing leads while also building quality relationships with your clients. 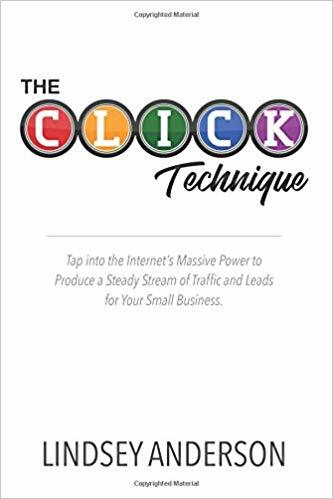 Each letter in the word “CLICK” stands for a different step you should be taking to ensure success, and in this book, Lindsey expands upon each subject in a way that’s in-depth and easy to follow. Making sure that you don’t give up when the going gets tough can be a little hard, but with The CLICK Technique, you’ll find that this best digital marketing book can get you back on track! 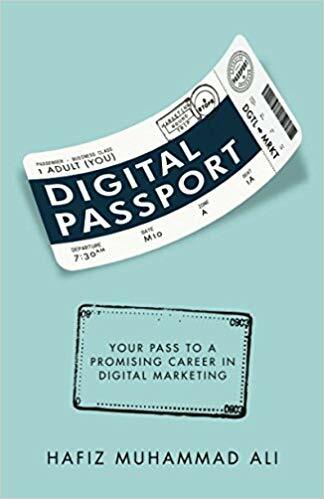 Published in January of this year, Digital Passport: Your Pass to a Promising Career in Digital Marketing promises a navigational roadmap through the world of digital marketing as a whole. Written by Hafiz Muhammad Ali, the founder and CEO of Omnicore Group, which operates a range of digital media and e-commerce brands, Digital Passport is your digital marketing 101 in the new year. With decades of experience in the digital marketing field under his belt, Hafiz is well-educated to speak on the subject of digital marketing, and his book delves into a variety of topics which include (but are not limited to) eCommerce, social media, SEO, website analytics, and advertising! With so much packed into one, it’s easy to see why this is one of the best digital marketing books of 2018. 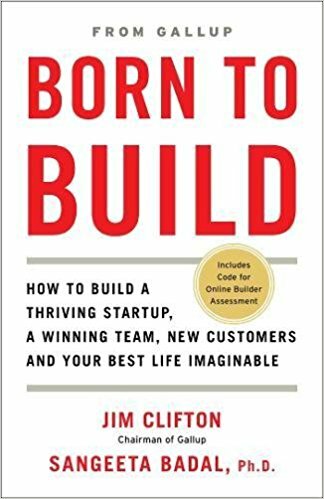 A digital marketing book that focuses more on the introspective rather than the purely business aspect of it all, Born To Build takes us on a trip of inner reflection and self-realization. Written by Jim Clifton, chairman and CEO of Gallup, and Ph.D. Sangeeta Badal, the primary researcher at Gallup’s Entrepreneurship and Job Creation Initiative, Born To Build gives you the tools and techniques you need to understand yourself in a business mindset and to help you create what you want to build. Born To Build guarantees that you’ll be able to build a sustainable and profitable venture from scratch by following its instructions and guidelines while helping you find your centre in the world of business. The personal aspect certainly gives it a place on our best digital marketing books of 2018. A book so good, it hasn’t even come out yet? You nailed it! The Ultimate Marketing & PR Book doesn’t come out for another couple of weeks, but its premise makes me believe just how relevant it’ll be to our digital marketing crusade. 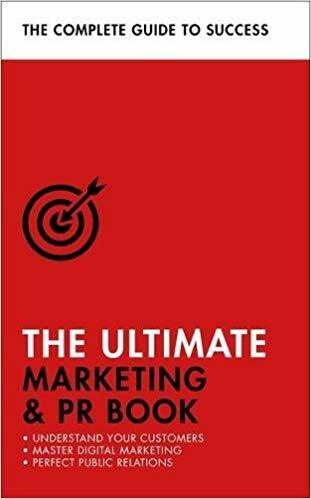 Written as a collaboration between Eric Davis, Nick Smith, and Brian Salter, The Ultimate Marketing & PR Book gives you a large spectrum of tips and tricks to improve your digital marketing skill set. Discussing strategies, social media, and finance, this book is designed to equip you with the necessary tools to take on modern marketing. Make sure to pick up your copy on July 5th! 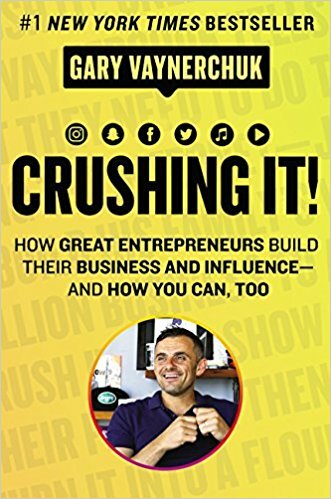 When it comes to the best digital marketing books of 2018, it’s impossible to not include Gary Vaynerchuk. A four-time best selling author, Gary is back at it again with Crushing It! How Great Entrepreneurs Build Their Businesses and Influence—and How You Can, Too. As part of his Crush It! Series, Gary brings us on a new journey by dissecting and breaking down every single current major social media platform. Through this practice, understanding the way social media works becomes easy for anyone, regardless of their digital marketing experience. By giving us the best advice on how to tackle each platform from Facebook to Twitter to Soundcloud, Gary gives us an inside tour of social media marketing. Women Who Launch: The Women Who Shattered Glass Ceilings gives us a brand new take in the world of marketing and business owners alike. Written by Marlene Wagman-Geller, Women Who Launch brings us a collection of biographies and stories about women over the years who’ve found success and sustainable careers against all odds! Women Who Launch brings us stories of renowned companies, brands, organizations, and the women that brought them to life. With this book, Marlene hopes to motivate men and women alike to achieve their success through anecdotes and brief history lessons, and the inspiration she has is unmatched. Running a small business is one of the hardest things someone can do, and effectively getting started in the world of digital marketing while trying to kickstart your own career can be difficult. Luckily, authors Barry Moltz and Rieva Lesonsky are here to remedy those issues with one of the best digital marketing books of 2018! 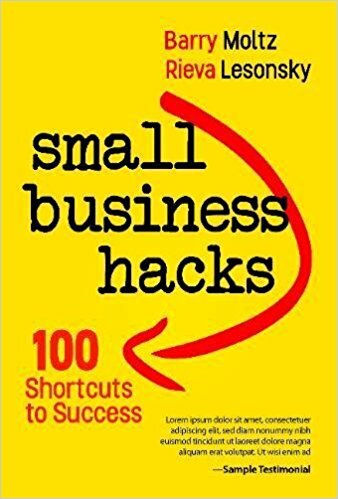 Small Business Hacks: 100 Shortcuts to Success aims to be a simple guide on handling marketing, customer service, money and finance, sales, and employees in five steps or less. Each component is necessary for making sure that you’ve got a hold on your business, but going digital can be a little challenging for those who aren’t as well versed on handling every asset that comes with starting a company. Let this book ease your worries and lead the way for your future career and successful endeavors. 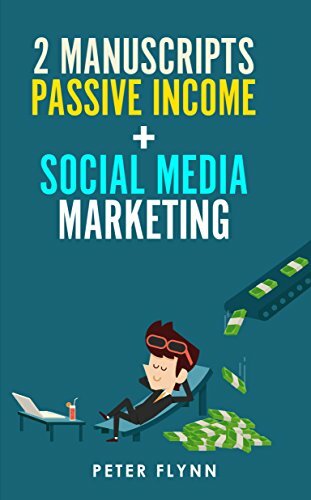 Earning passive income is a great way to get started in a field that could soon become a career, and marketing is a huge part of success in that area. 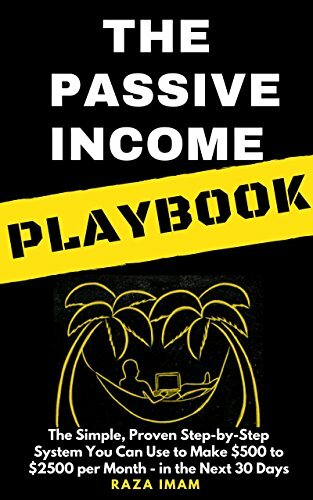 That’s where this digital marketing book comes in—The Passive Income Playbook. Written by best selling author and B2B specialist Raza Imam, this book encourages you to take a step back and really look at what you want to do with your life. By listening to Raza’s tips and explanations about what works best and what easy shortcuts are far from helpful, he guarantees success in just 30 days! Start earning your passive income and pursuing the career you’ve always dreamed of this amazing kickstart. Starting an online business can be tricky for those who’ve never done it before, but with the help of our next digital marketing book, you’ll find that the task isn’t nearly as daunting as it seems! 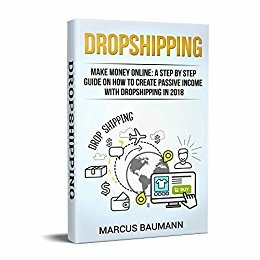 Dropshipping: Make Money Online is a guide on a new business model entitled “drop shipping”, and author Marcus Baumann gives you the basics in his guide on how to harness this power, and do it successfully. Marketing doesn’t fall into one category; it’s multi-faceted, and staying on top of the game involves keeping tabs on upcoming strategies. This is one of those strategies, and this book is one of the best digital marketing books in 2018 for bringing it to the forefront. As I’ve stated, digital marketing is a game that’s always changing, and this digital marketing book will give you a refresher on things you might think you know but aren’t fully grasping. 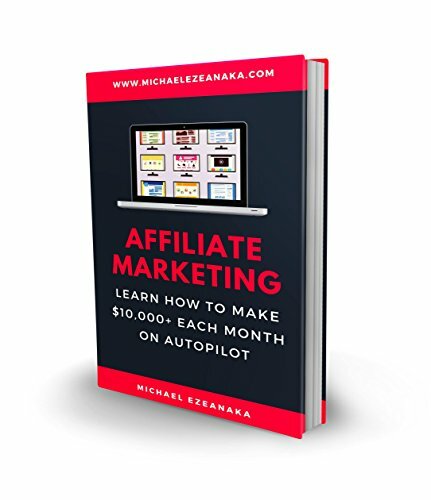 Affiliate Marketing, written by Michael Ezeanaka, was written to help you adapt and change with how people are earning money through the internet, and digital marketing. 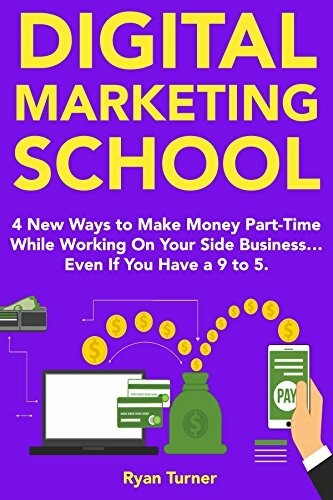 This book aims to teach you how to get started in the affiliate marketing industry, how to develop quality content and build organic traffic and leads from that content, and how to create your foundation from scratch! Social media marketing and digital marketing, more often than not, go hand-in-hand. However, with how quickly social media platforms can change, staying on top of the latest social media marketing trends can be difficult. That’s where this digital marketing book comes in handy: Social Media Marketing: The Ultimate Guide, written by Gerry T. Warner, is here to give you the best and most current guide on harnessing the power of social media for your business growth. 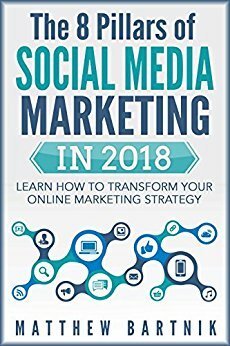 By making sure that these tips and tricks are relevant for this past year while also guiding us through the most effective social media marketing strategies that apply to Facebook, Twitter, and Instagram, it’s easy to see why this is one of the best digital marketing books of 2018. If you can’t tell already, dropshipping is a popular and growing business model in the year 2018. Because of that, having more than one point of view on a model that’s not only successful but still on the up and up is a smart and reasonable decision. 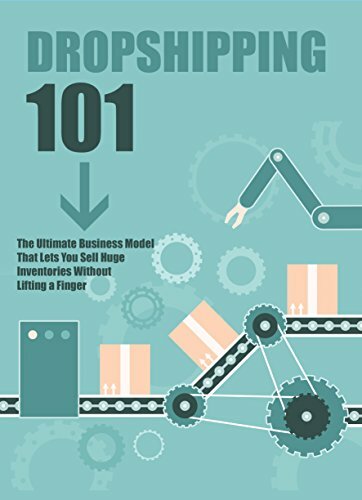 That’s where this digital marketing book comes in; Dropshipping 101: The Ultimate Business Model teaches you all about the at home business model that is “drop shipping” and how to get involved in something that most people are still unaware of. Running your own business should be enjoyable, not a hassle, and this guide written by Laurence Berry will give you all the information you need to get started. 13: Influencer Fast Track: From Zero to Influencer In The Next 6 Months! Our next book is a must-have for entrepreneurs looking to expand their own business and self-sustain. Being an influencer isn’t about becoming a household name in a matter of minutes, but rather how to grow a profitable and formidable business by harnessing the power and the seemingly free resources that the internet and digital marketing has to offer. 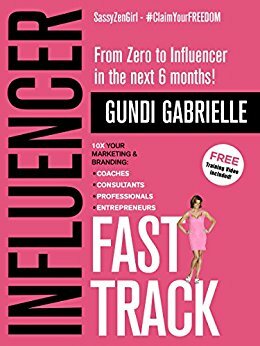 Influencer Fast Track, written by Gundi Gabrielle, gives you a comprehensive and step-by-step guide on how to create this power by using what you’ve already got and built a foundation based on your own skillset and the power of people around you. A strong mentality is one of the best weapons in this field, and that message easily makes this book one of the best digital marketing books of 2018. The internet is a place that’s constantly evolving. The rules are never set in stone, and when it comes to managing an online business, making sure that you’re constantly in the loop of these changes is imperative to your success. However, you don’t always need all the bells and whistles to find that success, and that’s exactly what this digital marketing book is all about. 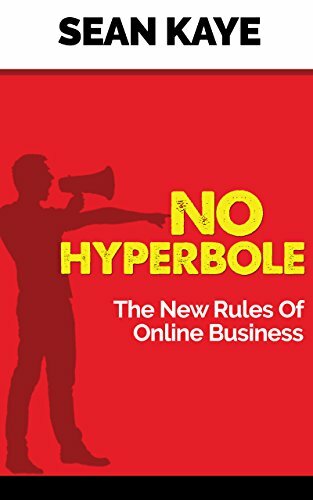 No Hyperbole: The New Rules of Online Business gives you a guide on how to advance in this field while giving you a comprehensive and straight-to-the-point view on why you shouldn’t take yourself too seriously. Written by Sean Kaye, this book gives you the kind of tough love you need to get started and stay successful. Perhaps the most important part of being a business owner is the fact that you love what you do, and being able to experience such a rare feeling shouldn’t be wasted. The Value Equation emphasizes that point. Being able to grow margins, transform your business, and engage your team with what you want and love to do should be your everyday life. 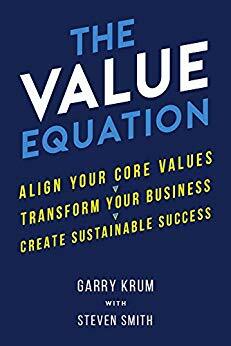 Written by Garry Krum and Steven Smith, this book encourages you to take a hard look at your morals and values and how they relate to and affect what you do for your business. Making sure that what you’re doing is something you want to be doing is just as important as the technical success of your business, and that’s why this title is one of the best digital marketing books in 2018. Author Peter Flynn states that making money online is easier than ever, and his book, Online Marketing: 2 Manuscripts, is the perfect way to get started on that journey. 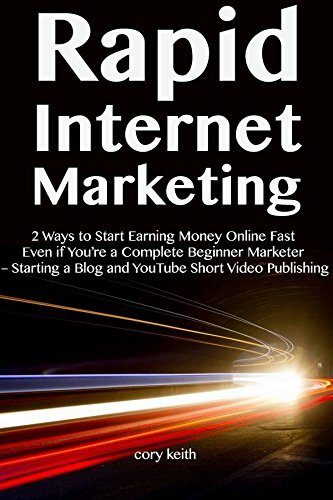 This book gives you a concise and clear guide on how to start your online marketing experience, regardless of how much practice you’ve had with starting a business that mainly exists on the internet. With all the trends that come and go, finding a safe and secure place to start gives anyone a sense of comfort and makes this book one of the best digital marketing books in 2018. Making sure that what you do is something that brings other people and yourself a sense of purpose with the good you’re doing is important. Building a business shouldn’t just be about making money. Wanting to better other people’s lives with the services and goods you offer should be your driving factor, and this digital marketing book helps you build on that very foundation. 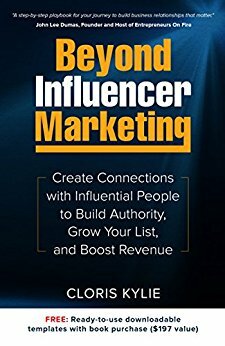 Written by Cloris Kylie, Beyond Influencer Marketing gives you many tips on how to avoid roadblocks when trying to connect with other people in your field, how to create a strong marketing foundation, and how to build relationships that’ll cultivate your business model. A comprehensive, 5-step process towards building your online business model and career seems nearly too good to be true—what a relief that it exists! 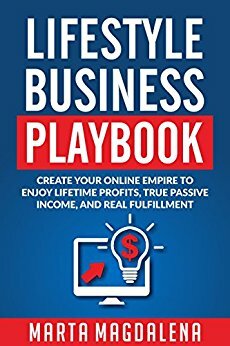 In Marta Magdalena’s digital marketing book, Lifestyle Business Playbook, her 5-step process on how to gain your own income with an online business is not only incredibly informational but in depth as well! With tips on avoiding pitfalls that are commonplace, ideas on how to improve your financial mindset, and great ways to stay consistent with your content and creation, it’s easy to see why this is one of the best digital marketing books of 2018. You don’t need an expert to tell you how competitive the world of digital marketing is. Therefore, making sure that your voice is heard in a sea of businesses and businesses owners is extremely crucial to your success as an entrepreneur. 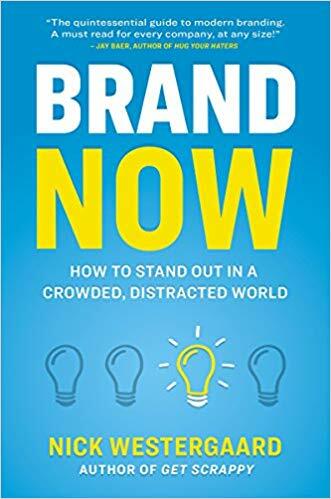 Brand Now is a digital marketing book that’s designed to give you the upper edge against your competition, and help you leave a mark on the business world. Creating a brand that resonates both on and offline is important, and that’s exactly what author Nick Westergaard explains with this book. Come up with a unique story, marketing that story with a strategy that applies to you and your business, and find success with your hard work and dedication to your services. Being able to talk to other specialists and experts in your field on the best tips and tricks for success is something I will never take for granted. For that very reason, it’s no wonder why this book is one of the best digital marketing books in 2018. A collection of 101 specialists in the world of online marketing, digital marketing, SEO optimization, Google Adwords, and Facebook advertising makes Digital Marketers Sound Off a must-have for any business owner looking to expand their horizons in the online marketing field. 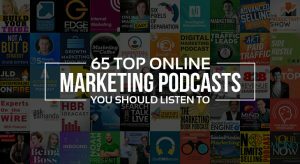 Author Matt Chiera does an amazing job of collecting stories and experiences from people across the digital marketing world, including B2B, small business freelancers, consultants, and agency owners. Don’t miss your chance to grab a seat at the table! An easy-to-understand guide on how to approach digital marketing in 2018 seems like the perfect fit for this list and for anyone who’s looking to kickstart their career in this new year! 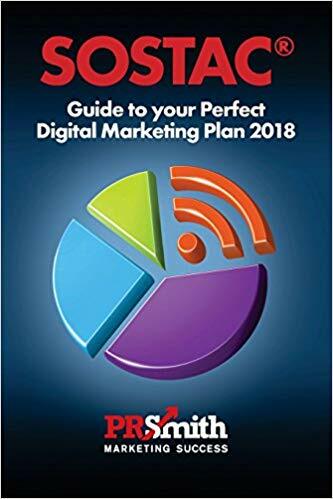 The Guide To Your Perfect Digital Marketing Plan 2018 gives you 6 chapters of review on the digital marketing business as a whole, the best strategies you should be utilizing, the actions you should be taking in your everyday work life, and the control you aim to gain by expanding your business model. 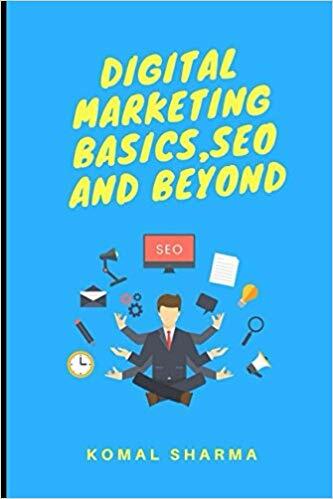 Written by PR Smith, co-author of the very successful Digital Marketing Excellence, this book is your chance to get involved from the very beginning with an easy to understand guide and sizable portions that make it worth your time, as well as one of the best digital marketing books of 2018. I’ve said it once, and I’ll say it again: social media marketing is one of the most competitive and fastest-changing games in the digital marketing world. Being able to understand and utilize some of the most powerful social media powerhouses, such as Facebook and Twitter, in order to build and expand your business is crucial to your success. That’s where one of the best digital marketing books of 2018 comes in—The 8 Pillars Of Social Media Marketing in 2018. Author Matthew Bartnik breaks down some of the most popular and powerful social media platforms and promises that by the end of this book, you’ll be fluent in understanding all of them! Get ahead of the curve and start playing the competitive game with this amazing digital marketing resource. Making sure you’ve got a secure foundation to start your business on is a crucial step in the process of beginning your digital marketing journey. With that in mind, finding the right place to start can be difficult for those who’re foraying into this world of digital marketing for the first time. Digital Marketing Basics, SEO and Beyond serves as that foundation and aims to teach readers how to grow their own business from scratch, make the best choices for marketing their business, hone their digital marketing skills, and improve their social media marketing strategies. Written by Komal Sharma, this book is a must-read for anyone dipping their toes into digital marketing and is definitely one of the best digital marketing books of 2018. Expanding our horizons towards new social media platforms that hold untapped potential and promise for business growth is exactly what digital marketing in 2018 is all about. 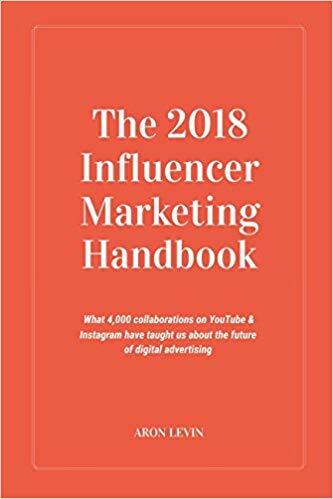 The 2018 Influencer Marketing Handbook teaches us all about what can happen when you discuss the future of digital advertising. Author Aron Levin aims to give you insight on what his business is all about by providing you with 48 valuable tips that will help you work harder, faster, and more efficiently than ever before. Collaborations are important in the world of business and digital marketing strategies, and it’s important to know what your competition is doing in order to make your own business more eventful and sustainable. 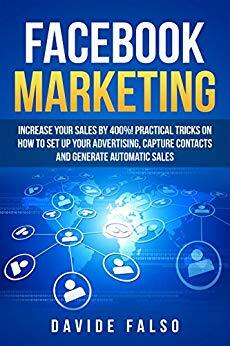 25: Facebook Marketing: Increase Your Sales by 400%! It’s no secret that Facebook is the most powerful and popular social media platform on the internet to date, and being able to use that power to the benefit of your business is extremely important when trying to expand that foundation. Facebook Marketing: Increase Your Sales by 400% by Davide Falso aims to teach you how to sell successfully on Facebook by teaching you the best ways to use Facebook advertising, how to successfully run an ads campaign on Facebook, and how to expand your Facebook business page towards an audience that’s interested in the quality content you produce. 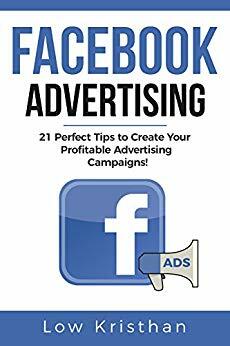 26: Facebook Advertising: 21 Perfect Tips To Create Your Profitable Advertising Campaigns! Going hand-in-hand with the previous book, learning the ins and outs of Facebook advertising is a necessity to your social media and digital marketing journey. Facebook Advertising: 21 Perfect Tips To Create Your Profitable Advertising Campaigns by Low Kristian is a perfect step-by-step guide on how to successfully build an ads campaign, how to manage your Facebook business page, and what sort of content you should be used for advertisements that’ll help your business grow with every passing day! 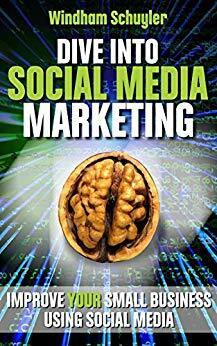 Mastering the arguably most important social media network on the internet makes this one of the best digital marketing books of 2018. Social media is an ongoing, unstoppable force that continues to expand with every day that passes. Knowing all the details of every single platform is exhausting, and having the time to brush up on your knowledge isn’t always possible when you’re running a business. That’s where this digital marketing book comes in handy—Social Media Marketing 2018. 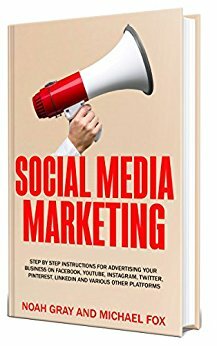 With a comprehensive list of social media outlets that this book covers including Facebook, Google, SnapChat, LinkedIn, and Quora, author Noah Gray promises that you’ll understand each and every network mentioned in his book. 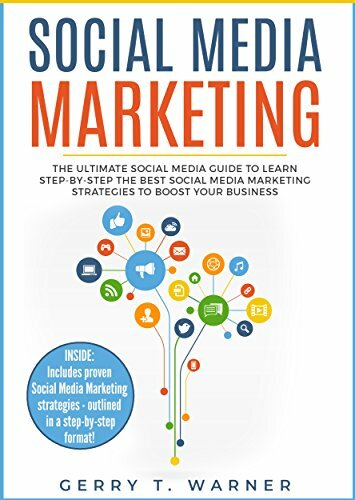 Understanding these platforms will immensely improve your digital marketing and social media marketing, so make sure to pick up your copy as soon as possible! This digital marketing book promises huge success with building your own online business by following the 4 steps author Brandon Cutler provides. The Big 4 of eCommerce promises to teach you the best ways to become an expert in things like blogging and content marketing, affiliate marketing, advancing in the new world of drop shipping, and digital marketing with products, goods and services. 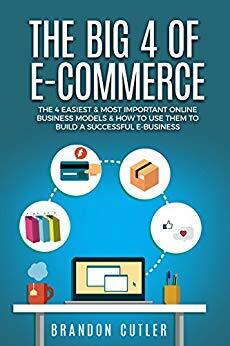 Building an eCommerce store is the destination of anyone looking to build their business online, and these tips make this one of the best digital marketing books of 2018. With how vast and expansive the internet is, there’s no reason to not be taking advantage of the free resources it has to offer. With that being said, due to the large and constantly growing nature of the internet, finding the truly free and useful resources can be a bit tiring. Ready, Set, GROW! 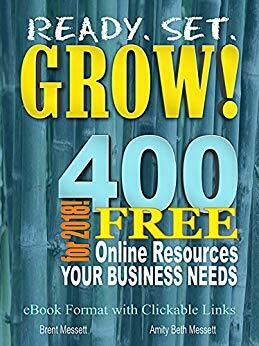 : 400 Free Online Resources Your Business Needs For 2018 is the answer to that problem, and author Amity Messett aims to educate entrepreneurs, business owners, and freelancers alike on the tools they can be used to improve their digital marketing and their business strategies. 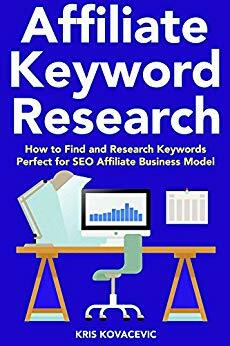 A 5-part look into the importance of choosing a keyword for search engine optimization, Affiliate Keyword Research (2018 Guide) is a detailed breakdown of what goes into picking the best keyword for your blogging content and how you should go about putting those keywords to good use. Making sure your content is highly ranked in Google search results is important for the expansion of your business, and author Kris S. Kovacevic puts these worries at ease with a step-by-step guide of what you should be doing to improve your SEO. Making it relevant to this year, too, makes this book easily one of the best digital marketing books of 2018. Making a passive income is something that most people covet in the world of business and online marketing. However, getting to a place where generating passive income while doing something you love to do is a process, and making sure you’re taking the right steps during that process is important to your overall business career. 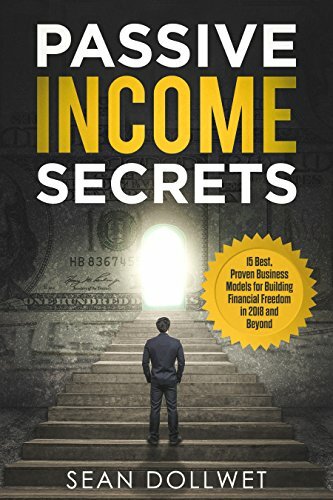 Passive Income Secrets – 15 Best, Proven Business Models for Building Financial Freedom in 2018 And Beyond by author Sean Dollwet is a digital marketing book that aims to teach you the 15 best ways and opportunities you should be taking in order to improve your skill set, your budget, and your preferences in an atmosphere that’s always changing. Fiverr, as you might know, is a popular marketplace where entrepreneurs and freelancers can build their skill set and reach out to business owners who need their help. 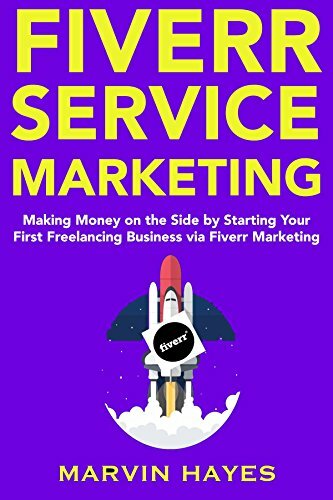 Therefore, it’s no surprise that building a marketing career on Fiverr is something that a lot of freelance workers are interested in, and the Fiverr Service Marketing (2018 Guide Book) written by Marvin Hayes is the best guide one could read when breaking into the field of Fiverr in 2018. By following this book’s 4-step process, the author promises success and expansion in your marketing endeavors! One of the toughest things we can do as business owners are beginning to tackle the world of Google. The algorithms, the analytics, and understanding how Google tracks the results from searches through keywords and website regulations is a very important starting point when delving into the world of digital marketing. Understanding these pieces is crucial for success, and that’s why Mastering Google Adwords 2018 is one of the best digital marketing books of 2018. 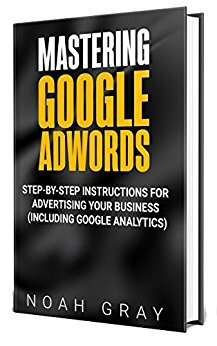 Written by Noah Gray, this book aims to give you the ins and outs of Google AdWords, how to successfully run advertisements, and how to stand out in a sea of people vying to get that top spot on Google search results. Being able to get started in the world of digital marketing with a strong foundation of what you want to do and where you want to be going with your career is a wonderful way to kickstart a successful upstart. Having a book that can give you a step-by-step guide on how to get that foundation is even better, and Digital Marketing School (2018) is that guide! Written by Ryan Turner, this digital marketing strategy goes over 4 very important points of beginning your digital marketing careers such as getting started with Fiverr and familiarizing yourself with Airbnb along with a comprehensive description of what tips you should take and what you should avoid making a statement and a long-lasting career. I’ve discussed the importance of blogging before, but the sentiment bears repeating: having a blog that produces consistent, quality content is important for your digital marketing career. Getting started on that journey, however, can be a little difficult, especially if you’re a beginner in this field. That’s where Cory Keith’s digital marketing book, Rapid Internet Marketing (2018), comes in. By covering 2 very important topics—the best way to make a blog and how to effectively bring your business to YouTube—this book aims to give you an edge up on your competition this year, making it one of the best digital marketing books in 2018. A trend has certainly befallen this list, and among the things that this list will teach you about, I hope that the future of dropshipping is one of them! 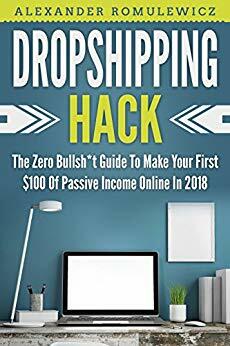 Dropshipping: The Zero B*llshit Guide To Make Your First $100 Of Passive Income Online In 2018 by Alexander Romulewicz teaches you about what a passive income is, how to get started in earning a passive income while holding a full-time job, and how to get started in the business of “drop shipping”. Digital marketing is evolving with the times, and staying relevant in 2018 is important when your career is settling into a sustainable position. Being ahead of the curve is crucial, so make sure you stay on top of the upcoming trends by buying one of the best digital marketing books in 2018! Strategies and concepts that business owners were using two years ago aren’t always relevant in today’s business climate. In fact, strategies that people were using seven months ago aren’t always things we can carry over into the new year. That’s why making sure you’ve got the best tactics are necessary to your digital marketing success, and Social Media Marketing 2018: The New Era of Internet Marketing can help you keep those ducks in a proverbial row. Written by Roger Burns, this digital marketing book aims to educate you on which social media platforms are performing the best, how to properly brand on social media, and how to complete effective marketing research in such a competitive and changing field. One of the most important parts of digital marketing strategies relies on proper search engine optimization or SEO. 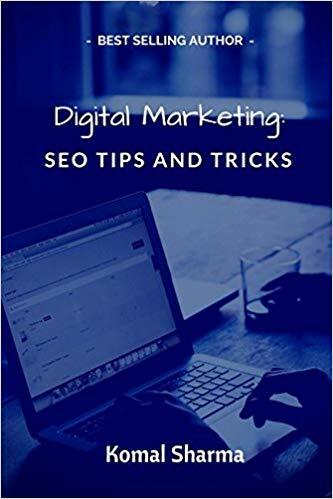 Digital Marketing: SEO Tips and Tricks by Komal Sharma aims to educate the reader on the best ways to rank with higher traffic, beat out your competitors, and teach common practices that revolve around learning what to consider when it comes to constructing a website for your business and making sure it’s up to 2018 SEO standards. The practice of SEO is constantly changing and will continue to change with the way Google evolves, and the way we practice our digital marketing strategies will continue to change with the times. 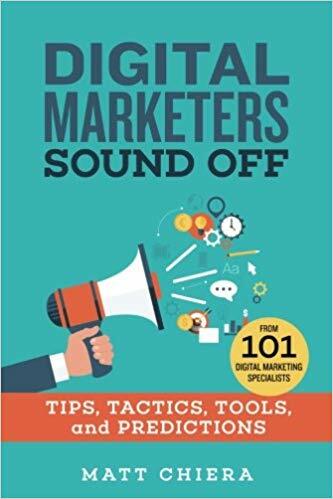 Knowing that information, it’s easy to see why this is one of the best digital marketing books in 2018. A book that claims we should no longer be asking if we should jump into social media marketing but instead encourages you to ask how to get involved, Dive Into Social Media Marketing by Windham Schuyler encourages you to think about the benefits of social media marketing which include, but are not limited to, extending your marketing reach in an affordable fashion, promotion of products to a wide range of people, and integrating a social element into your marketing experience by engaging with your audience on a regular and consistent basis! Keeping tabs on the way things are going in the world of business and digital marketing makes this book a must-have and one of the best digital marketing books in 2018. A best-selling title, it feels fitting to end this amazing list of the best digital marketing books in 2018 with a book that reminds us of how important SEO marketing is and what we can be doing to make sure our SEO steps are relevant in the new age of digital marketing. 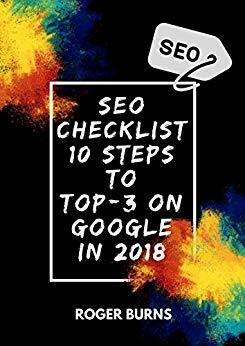 Written by Roger Burns, SEO Checklist: 10 Steps To Top-3 On Google In 2018 asks you important questions you must keep in mind when starting your digital marketing journey like What could be the most probable previews for SEO this coming year? How will you build and develop your own personal marketing strategies around the constant changing and growth that Google search goes through? What could you adapt that could influence or disrupt the flow of SEO in 2018? With this book, you’re sure to find out! And… that’s all she wrote! I know it might seem a little intimidating at first, but part of the process around digital marketing is making sure that you’re up to date on all new strategies, processes, and topics of discussion that make it to the final table. Digital marketing strategies are important, too, for making sure that we’re building and expanding on ideas and creations we love so much, and being able to pour your passions into something you truly enjoy should be rewarding, not stressful. So take this list of the best digital marketing books in 2018, make sure you read up on what you think is important and relevant to your business journey, and go out there and find your own success! It is possible, and you can do it. These books can give you the foundation to build on and the kickstart you need to get out into the digital marketing world! Thanks so much for the resources Lindsey. I have been slowly getting back into online marketing after being devastated by a “guru” who literally stole all of my commissions. Needless to say I was very naive and green. Ready to get back going and I see this is a great place to start!